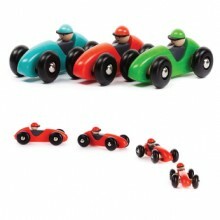 Racing cars are a playtime perennial for kids. And with the designer models coming off ‘production lines’ these days, even big people will want to get their licence to play! physics – does the car accelerate faster on a flat or sloping surface? engineering – what happens if a wheel comes off? problem solving – can I make my car go faster than my friend’s? 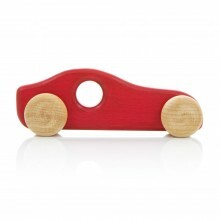 If your child loves cars, this list is specifically wooden racing cars, but we’ve also covered Emergency Vehicles, Baby Cars, Non-wooden Cars and Ride-on Cars too. Click the Heart Paperclip on an image to file it (with price and worldwide stockist information) into your Collections. 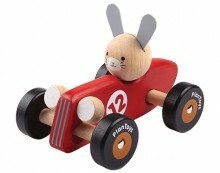 1 The Rabbit Racing Car from Plan Toys – the cutest little racer on the block. 2 The Maddy Micro from Tegu comes as a kit you build yourself and can then combine with other Tegu blocks too. 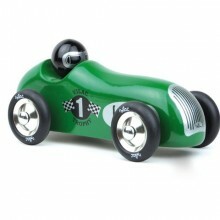 3 Vilac‘s Old British Sports Racing Car in emerald green is a classic. 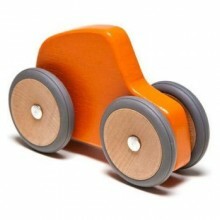 4 Super big wheels make Hop and Peck‘s Racing Car great for easy early play. 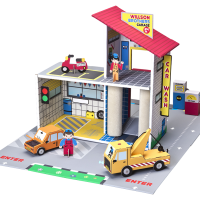 5 This devilishly beautiful design makes Mefistofele Fiat from PlaySam a collectors item. 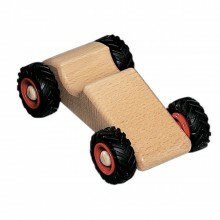 6 The chalkboard finish on the Adventurous Dream Car from Huzi allows this vehicle to become the king of disguise! 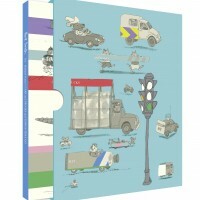 7 One of a fabulous new collection of vehicles from Candylab Toys, the GT10 is an American classic. 8 Want to give your child a lesson in cornering? Bajo‘s brilliant steerable Left-Right Racer handles bends like a pro. 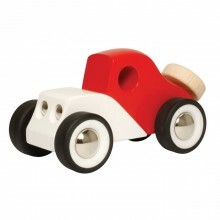 9 Speedy from German toy vehicle maker Fagus is not just fast, she’s sturdy, streamlined and elegant too. 10 Join the Automoblox club when you buy the C9 Racer with removable and interchangeable parts as well as its own unique VIN. 11 Mounted on steel axles, the Classic 35 Coupe from GoToy is not only super cute, it also has a super suspension system. 12 Custom colour the stylish Speedster from Milton Ashby in your child’s favourite hue of blue (or green or pink…).